This humble digital humanities project has been created to compliment my senior thesis for Marylhurst University, "Atticus Finch's Identity Crisis." At this time, I am only sharing the introductory paragraphs of the essay. This will be part one. Before explaining the next two parts, I should pause and share a little more background and context for my project. The passion for my topic probably had a great deal to do with the way I read and approached these books. I still remember selecting the two works by Harper Lee (along with a great PD James mystery) on the way back from Crater Lake on August 3, 2016 at Bend's Barnes and Noble. (I had never read "To Kill a Mockingbird" before.) My intention was to begin reading immediately, but fall classes delayed my plans a bit. I read most of the two books over a long Christmas break in Dallas, Texas, which seemed fitting for these works set in Alabama. By early 2017, I had completed reading both books and had also read reviews discussing this "new" Atticus Finch. Most of the critical reviews I was reading initially seemed to take the position that it was a marvelous sequel in the way Go Set a Watchman attacked the racist patriarchy of the day. The problem was, however, that I didn't see things quite that way; I'm always a fish swimming the wrong way in the river. The popular praise from academic audiences seemed more along the lines of literary criticism done only to assuage this idea of collective guilt--guilt seemingly aimed more at anger than any redemption, I might add--so I undertook an investigation into the complex issues of the novels. 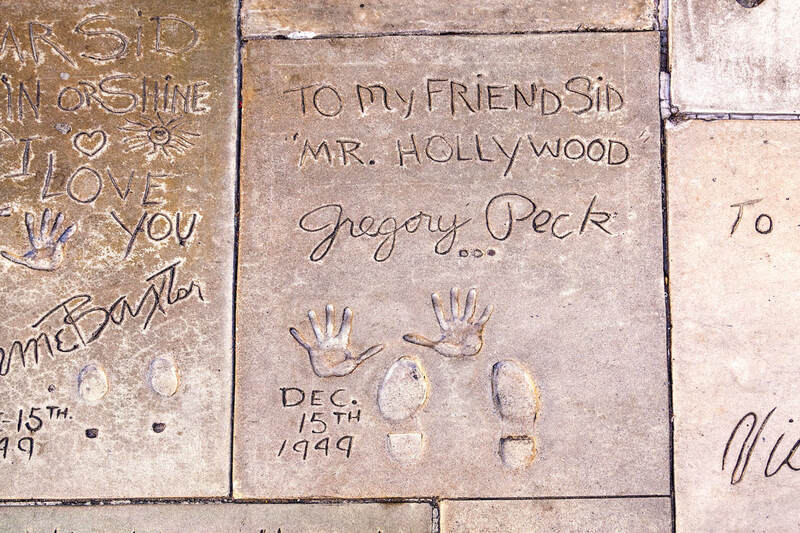 This inquiry included fascinating online exchanges with Gregory Peck's daughter, Cecilia Peck. The more I dug into the subject matter, the more convinced I became that these two characters called Atticus were not the same at all. With the coming of the literary world's growing, if grudging, consensus that Go Set a Watchman was likely only a draft to To Kill a Mockingbird, my argument was further bolstered. Part two of this page focuses upon links related to Harper Lee and To Kill a Mockingbird and Go Set a Watchman. This will also include a few of the sources that I used in my research. In this way, the online audience may follow along in the footsteps of my research. Part three of this humanities project includes links related to Gregory Peck, the iconic actor who brought Atticus Finch alive in the motion picture. An excerpt from Karl B. Erickson's senior thesis, "Atticus Finch's Identity Crisis." When Harper Lee’s iconic and celebrated work To Kill a Mockingbird (1960) was followed in 2015 by Go Set a Watchman, a literary controversy was born. Did, for instance, the publishing house and Harper Lee’s attorney conspire to exploit the aging author in rushing the second book to press? What happened to change Atticus so fundamentally between the two books? By focusing on some of the legitimate academic debates surrounding these works, the reader will develop a better understanding of the literary concerns presented here. Since both the characterization and dialogue of Go Set a Watchman are far inferior to Harper Lee's classic To Kill a Mockingbird, the new work should not ultimately define the rich legacy of either its author or characters--nor actors such as Gregory Peck who famously played Atticus Finch in the motion picture. Despite the repeated character names, these two books should be read as individual and distinct; no other approach can reconcile their significant differences of style, quality, and characterization. That domestic violence should receive a condoning air within the concluding pages of Go Set a Watchman is particularly indicative of these substantive complications and contradictions of content. In order to fully grasp the deficiencies of Go Set a Watchman, the briefest summary of Lee’s books might prove helpful as a review for the reader. To Kill a Mockingbird, published in 1960, is set in Maycomb, Alabama in the 1930s. Its central cast includes, the father and small-town attorney named Atticus Finch, his two children, Scout (Jean Louise) Finch and her older brother named Jem (Jeremy) Finch, the kind housekeeper Calpurnia, Boo Radley (Arthur Radley), the unjustly charged Tom Robinson, Sheriff Heck Tate, and the ignorant and illiterate Bob Ewell. While there are some mysterious inconsistencies concerning the precise age of the narrative voice at times, the work is in the first-person from the view of Scout Finch, who is between six and nine years of age. As most readers are likely to recall, the story follows the spirited defense of Tom Robinson by his attorney, Atticus, and the social and family repercussions for Atticus’ decision to give the legal defense his utmost. It explores important issues of race, justice, as well as the permanence of family bonds. Go Set a Watchman, published in 2015, is set about twenty years later in Maycomb. At the outset, it is now commonly accepted that Go Set a Watchman was actually written before To Kill a Mockingbird, and that it likely represented a draft of her classic. Jem is not a part of this second (second referring to order of publication, as opposed to order of writing) novel, as he is described to have died years before. Jean Louise’s uncle, Dr. John Hale Finch, referred to as “Jack,” plays a much more significant role in the second book. The narrative point of view is third-person limited from the perspective of Jean Louise Finch. (One immediate effect of the book’s third person point of view is a sense of a greater distance between the reader and the characters of the story.) The story follows Jean Louise’s return visit to Maycomb from her new home in New York and her coming face-to-face with the ugly sight of racism both within the community as well as her own family. While she plays this important narrative role, little of Jean Louise’s background or backstory is actually disclosed to the reader. "Harper Lee 'Go Set a Watchman' Fraud"
"What Would Gregory Peck Think of 'Go Set a Watchman'?" "Writing Advice and Harper Lee"
"Harper Lee's 'Go Set a Watchman' should Not have been Published"
"Why Harper Lee Kept Her Silence"